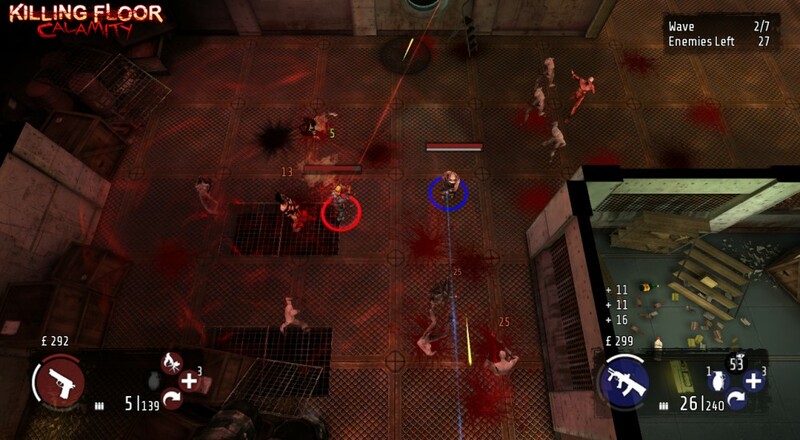 Fans of Killing Floor may be pleasantly surprised when they first play Killing Floor: Calamity on OUYA. This twin stick shooter aims to expand the Killing Floor universe by bringing characters from the PC version into a 100% pure couch co-op survival spree. For $15, you'll get 21 characters, 10 Zeds, 7 perks with 20 levels of upgrades, 9 maps, and 35 unique weapons. The free trial of the game includes just one map, so dive in and give it a shot. With so many twin-stick shooters to chose from, it seems the gamers who will get the most out of Calamity are the devoted Killing Floor fans. However, it's great to see quality co-op titles on OUYA, and we hope to this is a trend that continues into the future. Killing Floor: Calamity is out now on OUYA for $15. Page created in 0.9633 seconds.